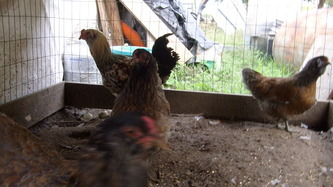 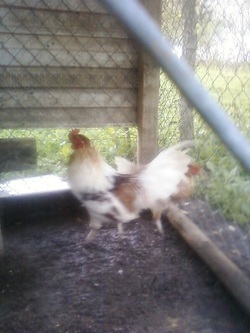 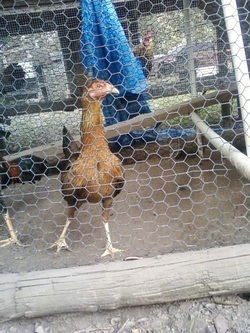 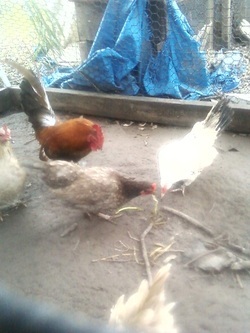 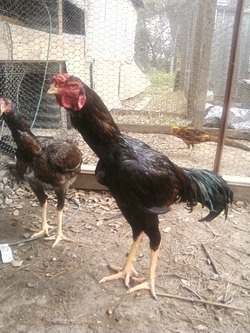 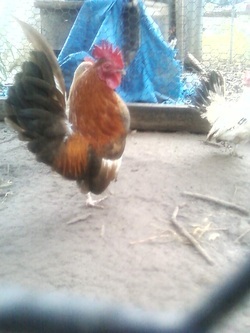 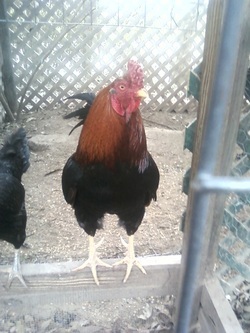 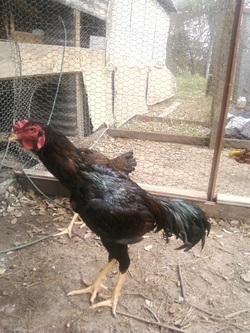 Tall in size, gentle around people, but can be VERY fierce fighters around other fowl. 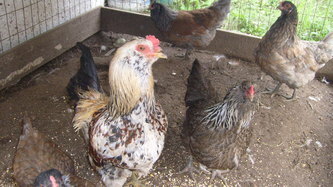 They do not lay an abundance of pale brown eggs, as these are one of the more primitive types. 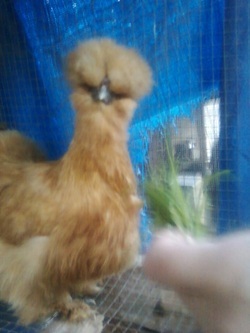 They have a small pea comb and are hard feathered like a cornish. 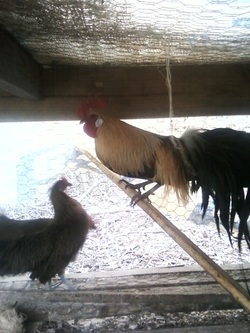 These are some really beautiful big birds. 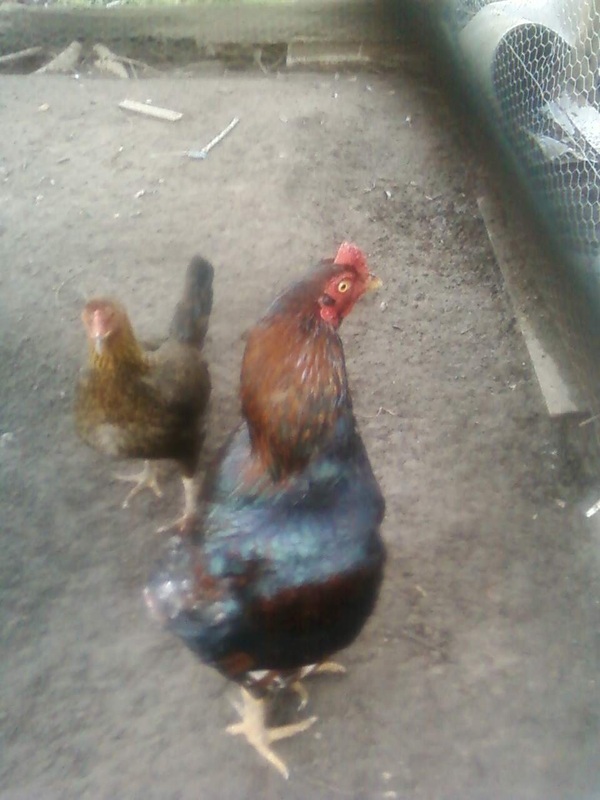 We have both French(feather-legged) & English (Clean- Legged) strains and they are kept together currently, Selection is for the darkest color in eggs. 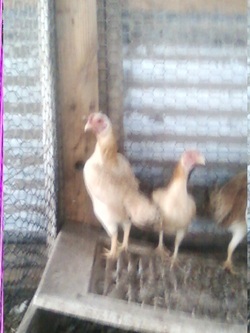 During their first year of laying they are superb layers, Second year on they LOVE to become broody and egg production drops off. 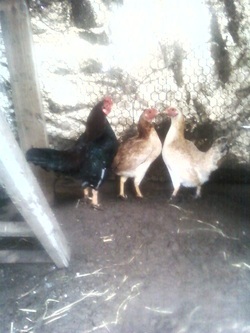 Of the dark egg layer breeds, these are the tops. 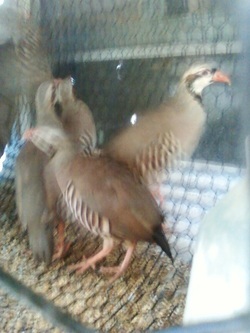 They have a single comb with 5 or more points. 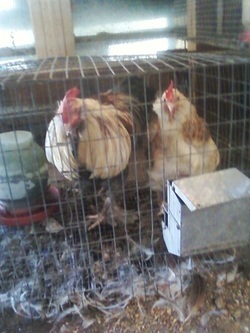 They are in the APA Standard. Mediterraneans largest, Long,Strong bodies, large combs and wattles. 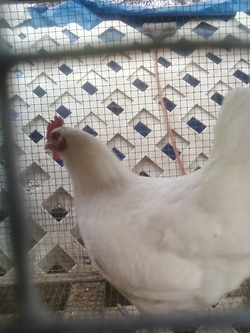 Excellent layers of large white eggs. 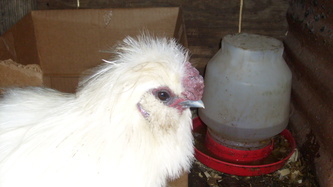 ALBC did a survey of important breeds in our country's development, it was then realized that there is maybe 100 in the whole United States. 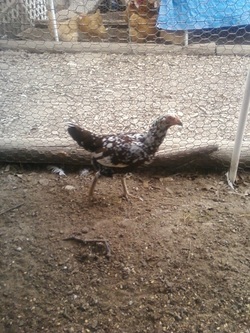 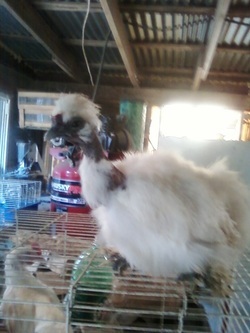 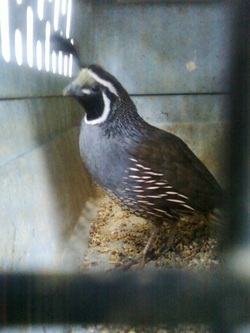 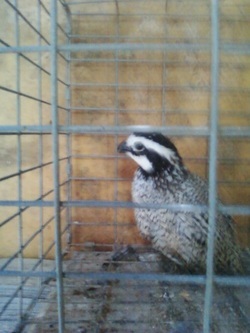 This breed is another example of where bird lovers every where need ot wake up before it is to late and they are gone. 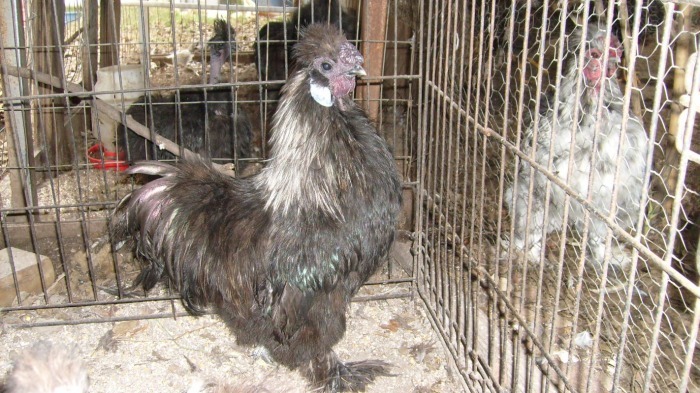 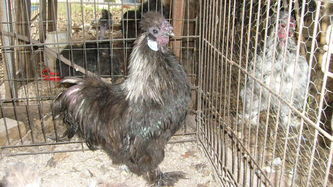 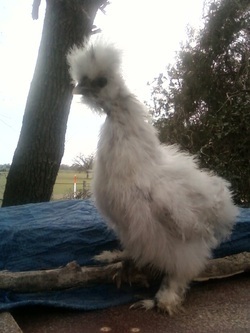 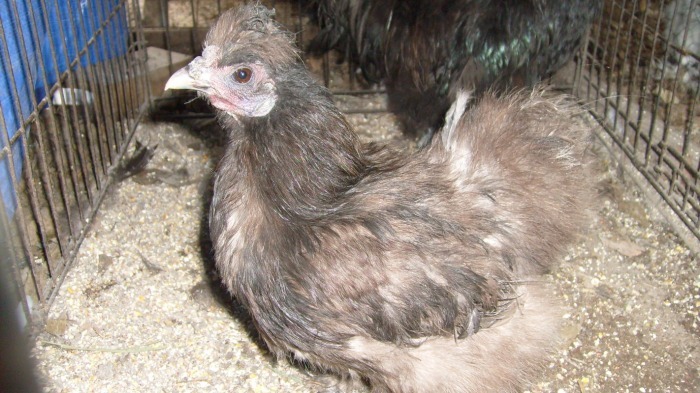 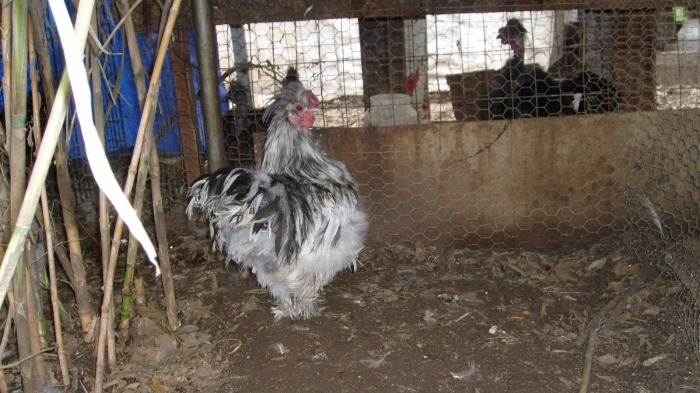 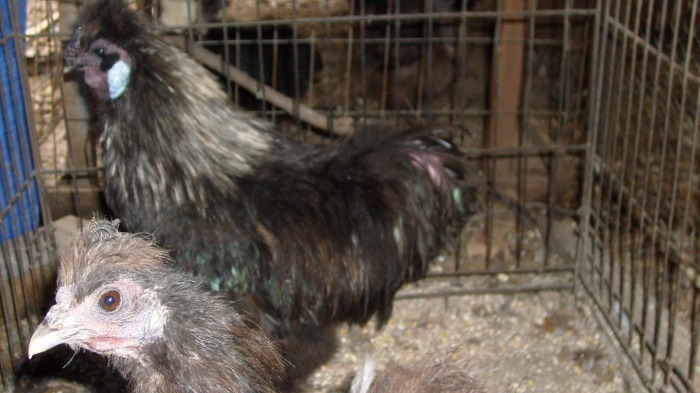 Silkies have black colored or some say (Deep Maroon)skin with downy feathers that look like cotton puffs and they all have a walnut comb. 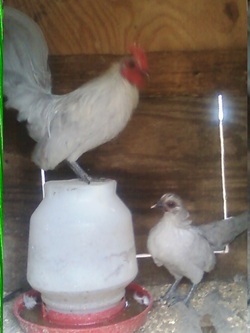 The eggs are tinted white to light brown. 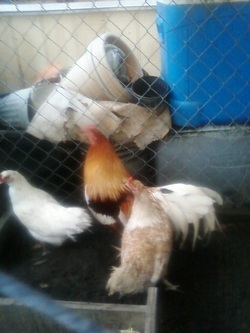 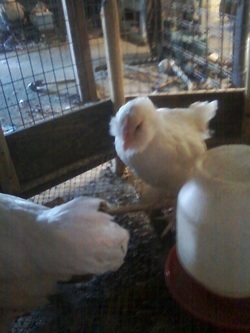 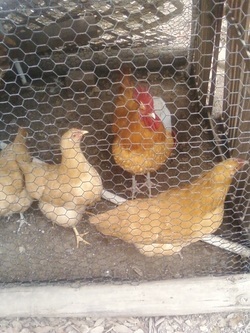 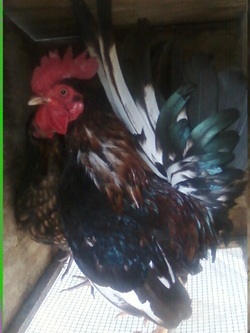 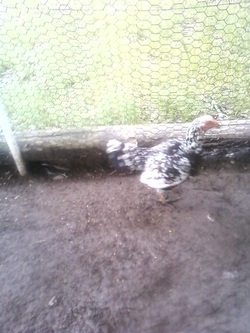 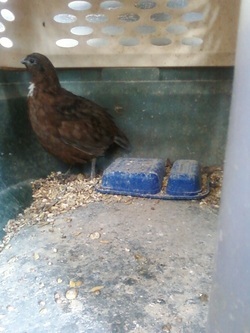 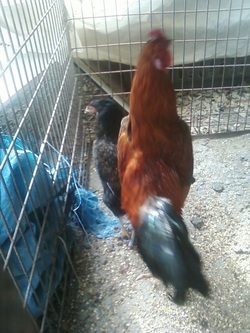 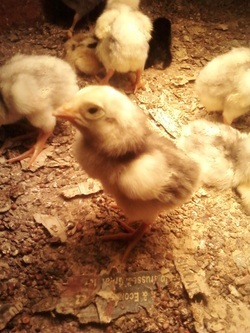 These birds make excellent Brooders as they will sit their own eggs and others eggs. 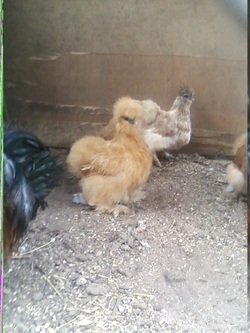 They are also great mothers.